For all of us living around Mt. Hood, the forest is key to our quality of life. One of the top carbon-storing forests in the country, Mt. Hood National Forest’s future management is an important part of averting the most catastrophic effects of climate change. It also brings nearly five million visitors to our region each year, while providing a domestic water supply for 1.1 million Oregonians. 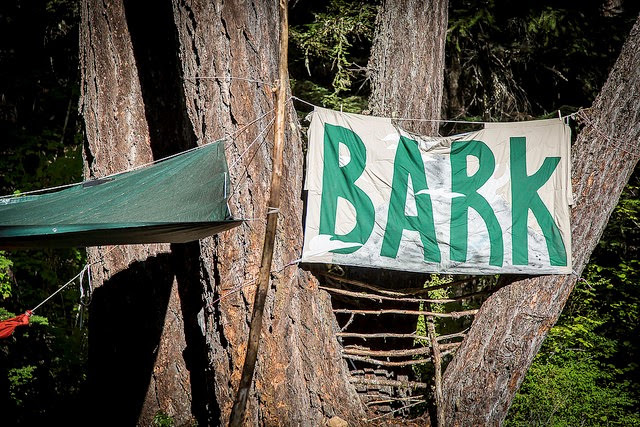 Bark’s summer Base Camp, August 24 – September 7, is our way of getting more people in the forest to advocate for the protection of this amazing forest. Sign up for camp right now! This year, a goal of this camp is to bring people together to gather on-the-ground information about the area threatened by the Forest Service's Crystal Clear Timber Sale project. We will be holding a wide variety of free workshops and activities at camp so we can build connections and find intersections between our work and that of other environmental, social, and other place-based movements. This free, public camp will be open to all participants who wish to join for any length of time (even if it’s just one day)! We’ll be camped near Highway 26 on Mt. Hood's southeast side (exact location to be announced soon). Our group campsite will be free of charge and family-friendly, and thanks to local businesses and supporters who helped us make our summer fundraising goal! CLICK HERE to view our camp donations wish list. SIGN UP HERE to receive more information about location, preparation, and events schedule for Base Camp! P.S. 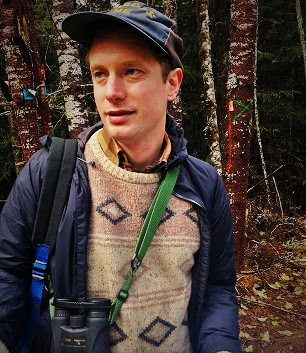 – For folks who are planning on helping Bark collect field information in the Crystal Clear Timber Sale during Base Camp, we are offering our two-part Groundtruthing training on July 27th and 29th. RSVP, now! It is filling up fast! P.S.S. – After you check out our camp donation wish list, take a look at our office donation wish list and help keep our in-town operations running this summer!